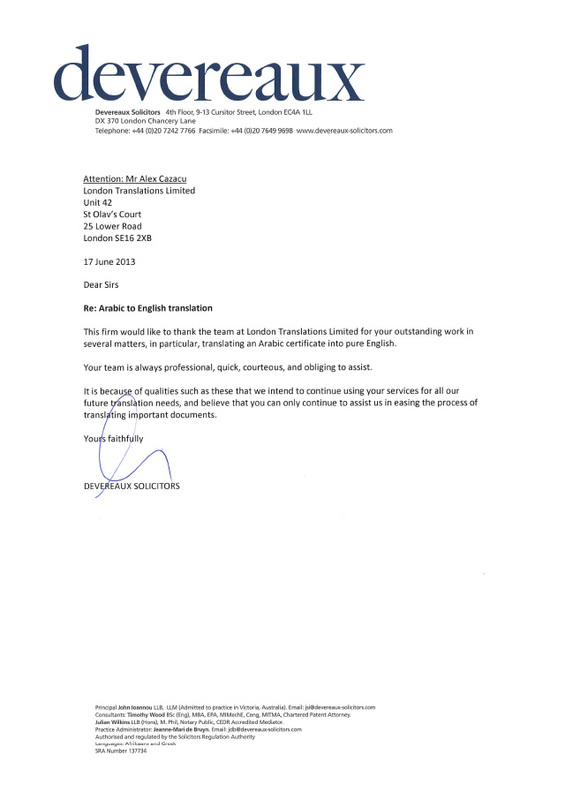 This firm would like to thank the team at London Translations Limited for your outstanding work in several matters, in particular, translating an Arabic certificate into pure English. Your team is always professional, quick, courteous, and obliging to assist. 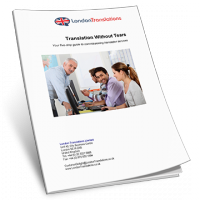 It is because of qualities such as these that we intend to continue using your services for all our future translation needs, and believe that you can only continue to assist us in easing the process of translating important documents.